Today’s going to be fast but important. You want to have a better relationship with… anyone? 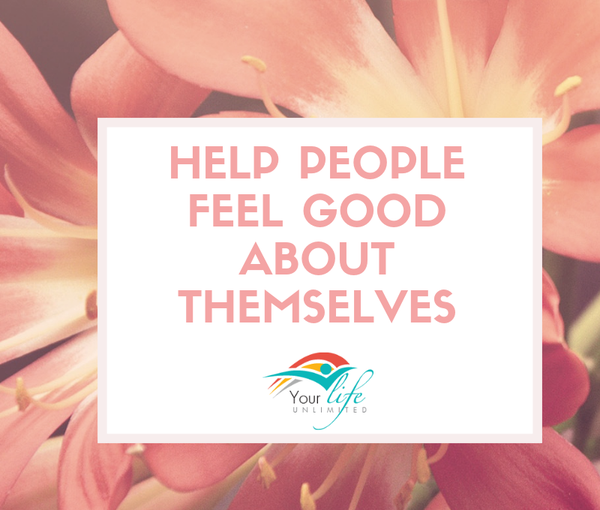 It’s really simple, make people feel good about themselves! Wow, I wish ___ came as easily to me as it does to you! You are really good at _____. Thank you for getting us here safely. You are so great with kids. I really admire ____ about you. Of course there are a thousand more. I’d love you to reply to share with me which one of these (or one of your own) will you deliver today to someone deserving? All of us want to feel good about ourselves and some days it’s easier to do that than others. A positive comment from a friend, a stranger or (here’s a shocker) from your life partner should be a welcome, cost-effective gift that may pay dividends when you least expect it. Helping people feel good about themselves, it’s just one more way you can live Your Life, Unlimited! PS – Got a question or issue you’d like me to address in future a upcoming e-news, just leave a comment and let me know! (Or email me! )And rest assured I will keep you anonymous! This entry was posted in Communication, Happiness, Love, Newsletters, Positivity and tagged e-news, happiness, Inspiration, positivity, Stephanie Staples, Your Life Unlimited. Bookmark the permalink. Previous Previous post: Do you give people the Benefit of the Doubt?